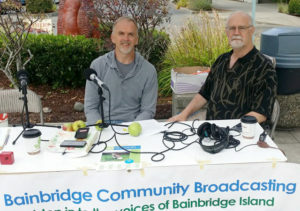 This week Darren Murphy, president of the recently formed Bainbridge Island Fruit Club, comes to the BCB broadcast table at the Farmers’ Market. Listen as Darren tells BCB host Bob Ross about the newly formed club, its goals and expectations, and the many club activities happening now and planned for the future. 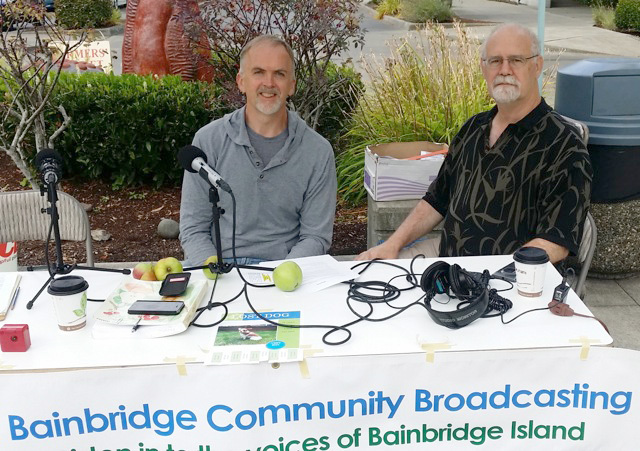 Darren Murphy, left, of the BI Fruit Club, chats with BCB Tech Chris Walker at the Farmers Market. Darren discusses many of the more typical fruits grown on Bainbridge and some of the challenges of managing them from planting through harvest. An obvious expert in fruit cultivation and management, he talks about apples, pears, plums, grapes, and many more fruit varieties. He also has strong thoughts regarding using fruit for food complete with some creative recipe suggestions. 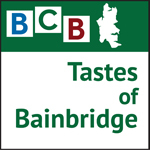 The Bainbridge Island Fruit Club (BIFC) meets once a month throughout the year. Visit www.bifruitclub.wordpress.com to learn about upcoming meetings and applications for membership.